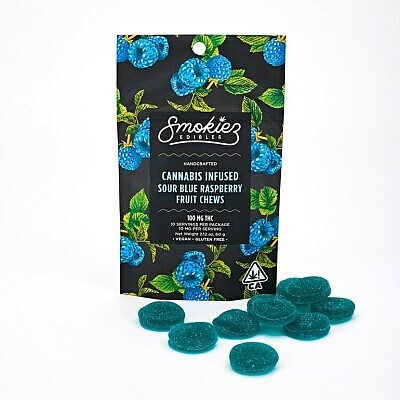 Smokiez 10-piece Sour Blue Raspberry Fruit Chews are a delicious way to medicate! These fresh and fruity chews are blended with High Clarity Extract to create flavorful THC treats. Each package contains 10 pieces, individually infused with 10 mg of THC for a total of 100 mg per container.